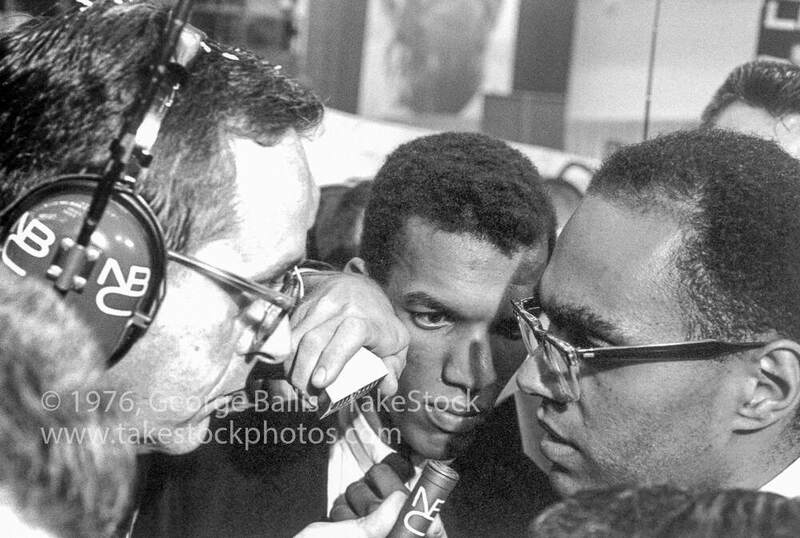 Caption Bob Moses on convention floor, Atlantic City, explaining Miss. Freedom Democratic Party position to John Chancellor of NBC. 'We are here for the people, and the people want to represent themselves,' he told Chancellor. 'They don't want symbolic token votes.' Next to Moses: Ivanhoe Donaldson.